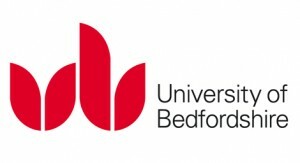 The University of Bedfordshire is hosting an information day for local employers looking to find out more about the changes to the way apprenticeships are funded and delivered. The Apprenticeships Employer Engagement event will be held on Friday 23rd September at the University’s Putteridge Bury campus on Hitchin Road, Luton, from 8.30am-4pm. The event will give employers information about the Apprenticeship Levy, which will be introduced next April and will be applied to large employers in all industries with a payroll bill of over £3m a year. For smaller employers the Government recently announced plans to give up to 100% of costs of training apprentices. Large and small employers can now train employees to degree level and beyond. Guests will also be able to find out about higher and degree apprenticeships and how they can help their businesses attract and retain talent.